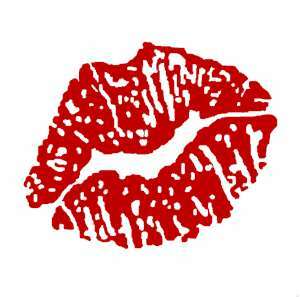 Kiss me, is what I was thinking during a teleconference at work. You ever have those moments? Those long lagging discussions that build… and build… Is this a good use of my time, our time? Anticipation of a wanting, that just keeps getting delayed… and delayed. Didn’t we already discuss this? The moment of conclusion is ahead and within reach… just need to stretch out and touch it…. WHAT? Another follow-up call ? Understandably most HR managers and Lawyers out there are cringing. The K.I.S.S me reference however isn’t a literal one, it is an abbreviation for Keep It Simple & Short (or the last S as Stupid although let’s keep it politically correct). I am going through a period of time at work when I am in meetings for more than 75% of my day. This begs the question are all these meetings productive? Each meeting has a goal to provide; information sharing, relationship building, decision-making, consensus/agreement or implementation/roll-out. Sometime the goal isn’t overly fruitful to me, but it’s a goal for someone else and its important respect others. So how can we get to that lingering K.I.S.S moment that satisfies all partners? The answer is… keep those meetings specific to the goal and manage expectations up front for the goal of the meeting. Sometimes meetings lead to other discussions and considerations that require follow-up, that is okay! Sometimes it takes the building of activities for the key goal of the meeting. What’s important is that you set the K.I.S.S criteria up front by Keeping it Simple & Short. Before you know it, you will be in receipt of those great K.I.S.S moments, and honestly who doesn’t enjoy a good kiss?